It looks down, from a small hill, along a straight road that cuts through a flat, desolate landscape towards a series of jagged rocky cliffs. 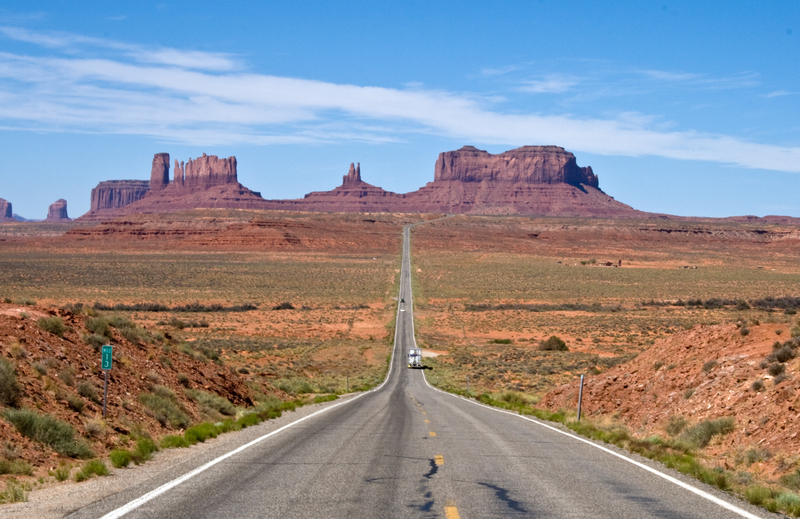 It screams American landscape: contemporary, thanks to the bitumen road, but also historic, due to the outcrops of Monument Valley made famous by countless Hollywood Western films. It begs to be part of a film itself. In fact, it has been: it was a feature in the film Forrest Gump – apparently; I’ve never seen the film. It’s known as Mile 13, so named because it is 13 miles into the US state of Utah, from Arizona, along Highway 163. Search any photo sharing site, such as Flickr, for any number of the iconic scene, including my own, of course! I wasn’t going to miss out. The above photograph was taken one morning in May, as I was leaving Monument Valley. I had arrived the afternoon before and spent the rest of the daylight and the light from the setting sun to take in this amazing land, part of the Navajo Nation. The spectacular red monoliths are quite possibly the most famous film props ever. 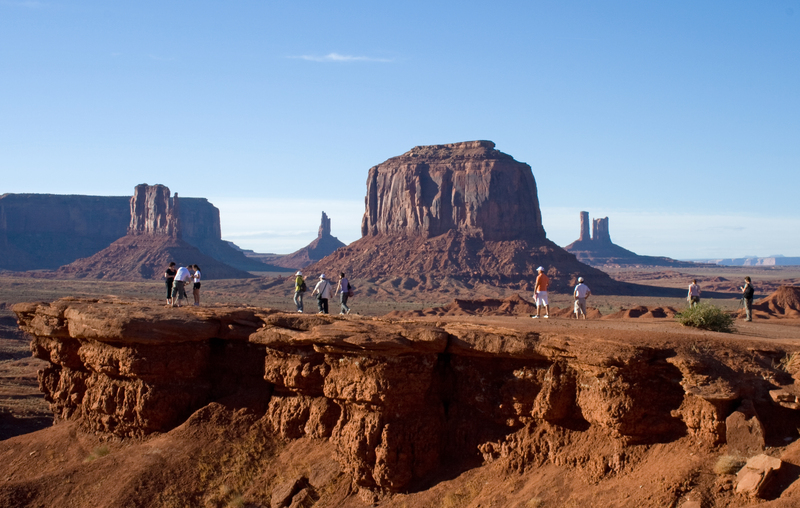 One part of the park is even called John Ford Point, where Western film director John Ford shot so many of his scenes. I was given a tour of the area from one of the local Navajo, who told of the land’s history, before the cowboys, when the locals had to deal more with the marauding Mexicans than the “pale faces”. It’s an amazing place, a stark and eerily quiet valley, despite the many tourists. There is a sense that the landscape is master here. It has seen it all before and will no doubt see much more, unmoved. Arizona and Utah make for incredible road journeys. Amazing scenery, good roads, little traffic, nice weather. What’s not to like about driving in this part of the world? Especially when there is a photo opportunity or new discovery around every corner … even if the corner is a few miles down the road. Are there other iconic road trip scenes? I would be interested if people have other scenes in mind when it comes to road trips. I have a few more photographs and scenes to share from a recent road trip in the US, but I would be interested in hearing other stories and ideas. Chris Mannolini owns the copyright to the words and photographs in this post. Please contact me if you wish to re-use them elsewhere. Tagged as: "Chris Mannolini", "Forrest Gump", "Mile 13", "Monument Valley", "road trip"